Leather or deerskin dress gloves were a staple of a refined Victorian wardrobe, the finishing touch for any outfit. Slip your hands into our pair of butter smooth dress gloves and you'll likely refuse to take them off! Featuring traditional styling suitable for men or ladies, these fine gloves are unlined for a trim elegant fit. Bench-made in USA of fine American deerskin, available in sizes 6 to 11. Also available in black. Note:All natural product, variations in color and texture may occur. I am a connoisseur of fine gloves, from Italian Peccary with cashmere lining to American deer hide. I fount these gloves to be a very good value. I have been looking for an all purpose unlined leather glove for some time and chanced upon these when buying a gun-belt and holster for my .44 Magnum. These went with me on a recent Spring camping trip and performed well for dexterity and comfort. Used for driving and all purpose, hauling wet firewood and for light duty warmth. I can't yet attest as to longevity, but they have won my esteem thus far. These glove are nice enough but they are not suitable for dress gloves. They are too thick and bulky, and the stitching is a bit crude. An outstanding product and made in the USA. The gloves are soft, well made and fit perfectly! Doesn't get any better than that! Highly Recommended! Thanks. Best gloves I have had. Great gloves! Very warm without being big. A bit loose, should have ordered a size smaller, but still a wonderful item. Gift for my son: His assessment - every gentleman needs a pair of deerskin gloves. These feel great (smell great too). Best value for gloves. I love these gloves. 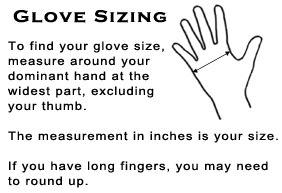 If measure right, they fit snug and the insides are very soft. Good quality leather. Perfect for costumes or even just to wear as winter or driving gloves. Very comfortable and look great. I rarely use the word exquisite, but I have to with these gloves. I love the feel of them. Smooth, soft, and almost buttery to the touch. I've been looking for simple, unlined leather gloves like this for some time, and am very pleased with the quality of these, especially for the very reasonable price. Wrong product sent at first. The real test of an organization! The costs to return the wrong item were paid for -- and the correct item was shipped in close to the minimum possible time. Couldn't be happier. I have 5 other vests and this is the first 'glitch' I have ever had. Well done! The quality seems very good. I was surprised at how heavy the skirt was. Looking forward to wearing the outfit. Received accurately described item sooner than advertised. Great service.